L’étranger is an exhibition of recent works from nine emerging artists, whose unique paintings, photographs, and sculpture are anchored by central themes of the strange, the unknown, the unfamiliar and the ethereal. 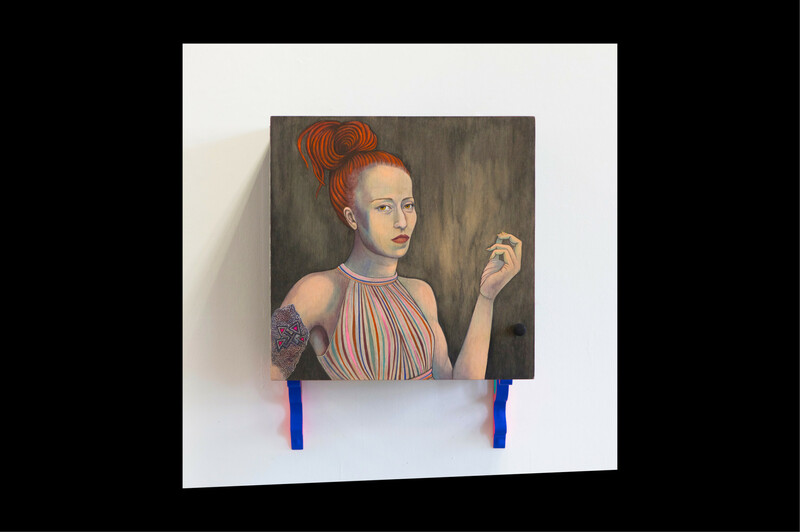 Curated by Federica Iozzo and Miya Spears and presented by aMBUSH Gallery, L’étranger highlights the mysterious yet powerful notion of expressing encounters with the magical, peculiar or subconscious from a new perspective. Artists include Bahman Kermany, James Lesjak, Monique La Fontaine, and Zelko Nedic amongst others. Opening night will feature a live DJ performance on Thursday, 24 August from 6-9pm at aMBUSH Waterloo Gallery, 4a James Street, Waterloo. The exhibition will continue daily from 12-4pm until Monday, 28 August. Follow aMBUSH Gallery on Facebook and Instagram for exhibition updates.